Public Health England have announced that in excess of one million UK residents are living with chronic lung diseases as a result of smoking. The figures suggest that nearly nine out of 10 of the 25,000 annual deaths from chronic obstructive pulmonary disease (COPD) in the UK are as a result of smoking. COPD is a broader term for conditions such as chronic bronchitis and emphysema, and can cause sufferers difficulty in climbing stairs, taking part in sport and even going on holiday. It causes extreme breathlessness, which can be extremely hard to recover from. Currently, is there no cure. Health officials have stated that the best thing a smoker can do to reduce their chances of contracting COPD is to stop smoking completely, with the aid of an e cigarette for instance. Public Health England have recently released a campaign to raise awareness of the disease, featuring ex-Olympic runner Iwan Thomas. Thomas is taking part, as his mother was recently diagnosed with COPD as a result of smoking. He will also take part in an experiment with four smokers, in order to demonstrate the effects of serious lung disease. Health officials have urged smokers not to dismiss the possible symptoms of COPD as merely “smoker’s cough”. 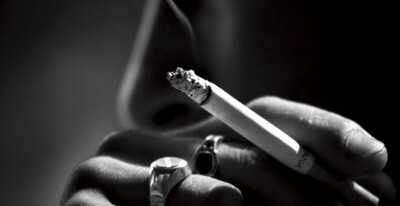 They strongly advise smokers to quit before the damage to their lungs gets worse, and make lifestyle changes to help slow the progression of the disease, or hopefully, avoid getting the condition completely. « 400,000 Smokers Quit Thanks to E-Cigarettes?